Inspired by flowers that once grew in Jan’s family’s garden, these little silk baskets are filled with flowers that evoke fond childhood memories. 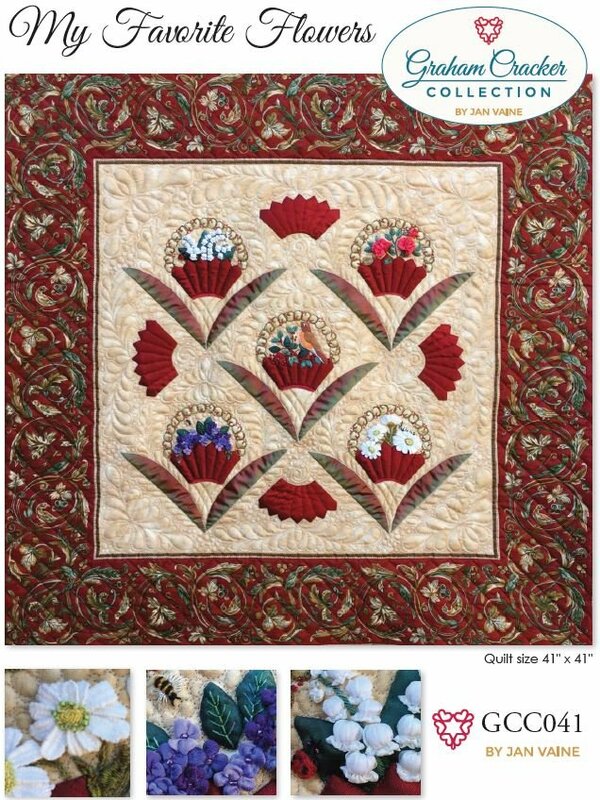 The 41” x 41” quilt is beautiful in silks, cottons or wools. Pattern includes block patterns, suggested threads/ribbon and stitching techniques, embroidery stitch illustrations, flower ribbon techniques, and quilt pattern. GCC038T Fan Favorite Blade Template is used to make the baskets and setting fans, available here.